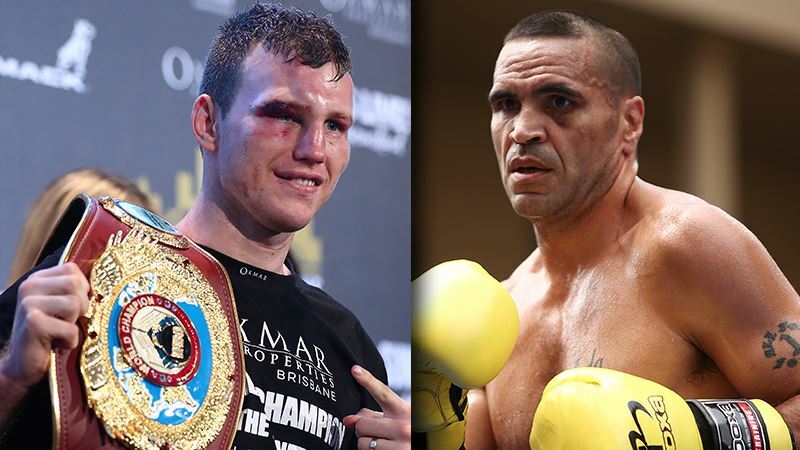 Check out the Palmerbet sports teams boxing tips & preview for the ‘River Rumble’ as Jeff Horn takes on Anthony Mundine in Brisbane on Friday Night. Analysis: On Friday night in the sunshine state, boxing fans will tune in to see two of the biggest names in Australian boxing go head to head. For many, they’ll be tuning in to see Anthony “The Man” Mundine in what is likely to be his final fight. For the rest, they’ll be watching with a keen eye to see if Australia’s very own Cinderella Man can silence Australia’s most polarising athlete. Jeff Horn’s toughness is second to none. His ability to absorb shots and keep pressing forward was on show in his hard fought victory against Pacquaio as well as in his loss against Crawford. While Horn has taken plenty of shots in his last few bouts, we’re not expecting Mundine to inflict too much damage. At his peak, Anthony Mundine’s hand speed was up there with the best in the world. While lightning hand speed is an attribute uncommon with 43 year olds, Mundine has adapted well. Perfected by Floyd Mayweather, the shoulder roll style has enabled Mundine to have a durable and impressive career. While he has a sound defensive game, our boxing tips have Mundine struggling later on. At the ripe old age of 43, Mundine will enter the ring as a heavy underdog. Palmerbet have him at $5.00 to win and rightfully so. Only a few months ago, Jeff Horn was trading blows with pound for pound # 1 – Terrence Crawford. Crawford proved to be too much, too soon for Horn and he was beaten convincingly. After going 9 rounds with a fighter of Crawford’s calibre, Horn will be full of confidence and expect him to be aggressive early on. Look for Mundine to find his jab in the middle rounds after Horn starts hard and fast. While he doesn’t have the power to knockout Horn, Mundine’s defence and counter punching can prove tricky. The Palmerbet sports team boxing tips have Horn winning in the later rounds.